Most research on MTHFR mutations point to the C677T homozygous mutation and how it causes elevated levels of homocysteine. There is very little research in regards to the A1298C MTHFR mutations. Then compound that with even less information on what to do successfully with A1298C mutations. Well. I think absolutely the other way. Research or no research. Doctors just need to think a little outside the box and realize there are other things that must be at play here because those with heterozygous MTHFR mutations are NOT doing well! When doctors discover elevated homocysteine levels in their patients, that may trigger them to order a MTHFR Genetic Test. At least, the doctors who know about MTHFR would order it. Elevated homocysteine levels are typically found in those with homozygous C677T mutations. But MTHFR mutations are way more than just elevated homocysteine; in fact, those with MTHFR mutuations may demonstrate normal levels of homocysteine. Many doctors do nothing with MTHFR mutations if homocysteine levels are WNL (within normal limits). MTHFR was positive for 1 copy of C677T and negative (normal) for A1298C. This means you are heterozygous for MTHFR. This has NO increased risk or coronary disease and clotting. This is a common finding in the general population. Your homocysteine level was normal so therefore no risk for you with clotting. If you would have have 1 copy for each of the above mutations, then there is some increased risk and treating with blood thinners would be the approach. To be fair to the doctor, she is correct based on what research is stating based on these types of MTHFR mutations. Something else must be checked as there is obviously something being missed here. Why isn’t it right to just use homocysteine as a guide to see how MTHFR mutations are affecting people? Because homocysteine is NOT the most sensitive marker for cardiovascular risk. Yes, this was a study with older men but it shows that we need to evaluate pregnant women and s-adenosylhomocysteine. The aim of this study was to estimate the relationship of endothelial dysfunction induced by intracellular S-adenosylhomocysteine (SAH) accumulation and DNA methylation in human umbilical vein endothelial cells (HUVEC)…..These findings suggest that SAH can act as the potential molecular biological marker in the promotion of atherogenesis. That means that if a mother has elevated s-adenosylhomocysteine levels, the umbilical vein and any tiny blood vessel in a developing fetus can become blocked due to atherosclerosis. Typically, atherosclerosis takes years to develop. However, we are talking tiny capillary-sized arteries in a fetus. This means that it will not take long at all to develop atherosclerosis in a developing fetus if a mother’s s-adenosylhomocysteine levels are elevated. …results may show s-adenosylhomocysteine (SAH) might cause cellular DNA damage in hepatic and microglia cells by DNA hypomethylation, resulting in irreversible DNA damage and increased cell cytotoxicity. We suggest that SAH is a better marker of cell damage than homocysteine (Hcy) in hepatic and microglia cells…We suggest that SAH is a better marker of cell damage than Hcy in hepatic and microglia cells. That’s huge. That means that s-adenosylhomocysteine causes significant cellular damage including the neurological system’s cells. This may partially explain the scores of women who have heterozygous C677T or heterozygous A1298 mutations and have miscarried numerous times. I have had 3 miscarriages since January, one being a twin pregnancy. I just recently found out that I tested positive for Heterozygous MTHFR C677T. I saw a specialist (RE) at the Cleveland Clinic last week that told me this was niot causing my miscarriages. I have been tested and tested and tested and this is the ONLY thing I am positive for. I have seen that many people take baby aspril or take shots of heperan along with extra folic and B vitamins. PLEASE HELP! I just don’t know who to believe and who not to believe. Makes you wonder what would have happened if the doctor tested for s-adenosylhomocysteine instead of homocysteine. It also makes you wonder what would have happened if this woman took 5-MTHF, methylB12, P5P, TMG, R5P, baby aspirin and fish oil. I just miscarried at 15 weeks. I came back with the same results…heterozygote C677T and everything else tested negative. I spoke to my doctor tonight and she is going to send us to a perinatologist (sp?) if and when we do get pregnant again. She said that studies have been inconclusive but that some Dr.s would put one on a blood thinner. I would recommend a referral to a high-risk dr. Good luck and God bless you and your family. My heart is with you. Hi, I am 33 years old and have had 3 miscarriages in the last 2 years. After numerous tests, one came back positive. I am positive for the Heterozygous A1298C mutation of MTHFR. What does this mean for me having children? I have a perfectly healthy 13 year old, and had no problems with my pregnancy with her. All of the research on line talks about the C677T mutation or a combo of the two. I want info on just the Heterozygous A1298C and what I need to do? I am so worried, and don’t know where to go for help! There are countless women out there with heterozygous C677T mutations and heterozygous A1298C mutations that are miscarrying or having other symptoms highly related to the homozygous C677T mutation. This tells me that testing is inaccurate for MTHFR care. More testing as I discover it will be posted. I’m not satisfied with these two. This also tells me that we need to use more than just folic acid in treating any MTHFR mutations. I highly recommend doctors utilize a wide-net approach to lowering homocysteine – AND s-adenosylhomocysteine in their patients. Doctors that are not doing anything for heterozygous MTHFR mutations are doing a disservice to their patients. I also had 3 miscarriages in a row. Doctors have run 3D ultrasounds, genetic tests on my husband and I, etc. The only thing that came back was heterozygous for C677T. I am with a fertility specialist now who said he will treat this with folic acid supplements and baby aspirin when we start the IVF process. Hopefully this will help. I wish the doctor ran the blood tests I suggest above along with providing 5-MTHF, methylB12, fish oil, TMG and other nutrients which suppport the breakdown of homocysteine. But – the main point of that doctor is he is taking action. He is not simply sitting on his haunches and saying there is no risk because you have heterozygous MTHFR C677T. The lab test you can have your doctor order to check the main areas of homocysteine metabolism and methylation are in the Methylation Profile Test by Doctor’s Data. Please perform a study measuring levels of s-adenosylhomocysteine in those with MTHFR mutations who have ‘normal homocysteine’ levels. I’ll share the Nobel Prize with you. Have you miscarried and only tested heterozygous A1298C or heterozygous C677T? Please comment below. What do you think of this more specific lab test: s-adenosylhomocysteine? I had one miscarriage at 7 weeks, a healthy pregnancy with my now 18 month old daughter and then a second miscarriage at 12 weeks in December. My doctor just called me with my test results-she did an extensive blood panel for re-current miscarriage-and she told me that I the only thing that showed up was a MTHFR mutation. She said my homocysteine levels were normal and that she was relieved that this is an “easy fix” with Folgard once a day(for the rest of my life) in addition to my prenatal vitamin, increased to 2 times a day when I get pregnant again, and told me that she would be closely monitoring me with frequent u/s throughout pregnancy along with induction at 39 weeks. What are your thoughts? I am otherwise healthy and 34 yrs old. What is your opinion on stillbirths and MTHFR gene mutation? I have compound heterozygous MTHFR mutation but was fortunate to have been DXed prior to my first pregnancy and I was lucky to have 3 successful pregnancies and 3 healthy children (1st pregnancy on baby aspirin; 2nd and 3rd on injectable Lovenox). I’m not planning to have any more children but am wondering what protocol you recommend for just prevention of possible future health issues resulting from my mutations. I read the protocol for homozygous mutations with interest but am not sure it applies for compound heterozygous mutations. I am currently working with a homeopath and being treated with a remedy so I would also be curious to know how that could affect the MTHFR. Thanks so much. I forgot to mention that whenever I’ve had my homocysteine levels tested, they have been “within normal limits.” Also, the reason my OB tested me for MTHFR mutations before pregnancy was because I presented with Raynaud’s Phenomenon. I tested heterozygous A1298C (my husband was not tested) with a homocysteine level of 5.6. I have suffered 3 total miscarriages and have two living children. My 6 year old was born at 32 weeks via c-section due to severe pre-eclampsia which resulted in me spending three days in ICU after his birth because of HELLP syndrome. My 3 year old was born at 37 weeks via c-seciton due to severe pre-eclampsia again (although I was on bed rest for 7 weeks, did acupuncture through the whole pregnancy and took Metagenics prenatals which I believe prolonged the pregnancy – pre-eclampsia systems started at 30 weeks). My Ob-gyn prescribed Foltx for life (Folic acid 2.5 mg, cyanocobalamin B12 2000 mcg, pyridoxine hydrochloride B6 25 mg) which I am afraid to take. The high risk prenatal doctor told me I didn’t need to do anything different because my gene mutation was “common”. As far as my general health, I try really hard to watch my nutrition and stress levels, but I tend towards fibromyalgia systems and irritable bowel systems if I don’t keep those things in line. I have inflammation in my joints, especially in my wrists, acne for much of my life and also now chronic bacterial vaginosis since the birth of my daughter. I have been trying to figure out what supplements to take to help alleviate my symptoms but I don’t understand the medical terminology and get scared about taking something that will cause more problems. Thanks you for your post. I had 2 easy pregnancies resulting in two precious girls in 2010 and 2012. October of 2013 Iost a baby at 13 weeks after seeing a heartbeat at 9 weeks. Got pregnant again in December with hopes of a successful pregnancy only to lose that baby after seeing strong heartbeat at 7 and 8 weeks. After tons of testing I was told I had hetero MTHFR. The specialist told me that I could try lots of things but had just as much of a chance having a baby as dancing in a grass skirt in my front yard….now I’m learning on my own though articles like yours that I need to be taking aspirin along with folate instead of folic acid. I requested to have my homocysteine levels checked and they just came back at 5.3. Seems pretty low. I want to be proactive and smart about this for my health and the hope of another child one day. Any advice would be very appreciated. After losing a baby at 16 weeks pregnant, I also followed that with two more very early miscarriages at 4 weeks each. I was then diagnosed with one copy of MTHFR C677T mutation and one copy of the A1298C mutation (compound heterozygote). In addition to continuing my prenatals (New Chapter—probiotic, whole food, non-GMO, organic veggies and herbs) which has 600 mcg of Folate as well as 5 mcg vitamin B6 and 30 mcg vitamin B12 and many other things like 20 mcg Niacin, etc., my doctor also prescribed Deplin, as well as one baby aspirin a day and Pregnitude. Pregnitude is a dietary supplement for reproductive support which consists of 200 mcg Folic Acid and 2000 mg Myo-Inositol. It is supposed to help promote regular ovulation, regular menstrual cycles, and increase the quality of eggs released in each ovulatory cycle. Should I not be taking the prenatals I’ve been taking? Should I not be taking the Pregnitude either? I also had some polyps and had them removed a month ago. We are still trying to conceive. After researching this genetic mutation more, I questioned my doctor (through a message from the nurse) on whether I should be continuing to take my same prenatals and the Pregnitude and his message back to me through the nurse was yes. I just saw the Seeking Health Prenatals that you take and I ordered them. I’m just wondering about the Pregnitude that I’d really like to keep taking if they help promote healthier eggs, but after reading some of your comments, I’m wondering if maybe I’m making my eggs less healthy by taking the Pregnitude. I’ve been taking it twice daily for 3 weeks now. I’ve been taking my prenatals since August 2013 when we first conceived the baby I lost at 16 weeks. Please help me understand what to do!! In addition to the above info I provided, I also want to mention that I had two healthy pregnancies when I was younger. My children are now 16 and 13. I am now 44 and TTC and just now found out about my compound heterozygote MTHFR C677T AND A1298C mutations. Please also explain why these mutations would affect me more now and not with my two pregnancies with my children when I was age 27 and 31. Does my older age affect this mutation even more now? Thank you so much! I had a first healthy pregnancy all the way to term..no problem then two miscarriage and then another healthy pregnancy and then a miscarriage after that. My obgyn ordered a test which came back positive for heterozygous c677t. Her suggestion was to increase folic acid. I am nor planning on having any more children but would like to know what I could be doinh to be in my best health? I was wondering where your reference was for fish oil lowering S-adenosylhomocysteine? But also looking at biochemical pathways it’s clear how to lower it. Maybe you’ve seen this already, but this James study in kids w/autism suggests that trimethyglycine also helps lower SAH levels. Yes it would help – that’s true. Need to be careful with DMG as it can actually raise homocysteine due to feedback inhibition. I’m actually considering trying some DMG as I’ve been taking a lot of betaine HCL (as you know, which contains some TMG) for almost 10 years now, so I suspect I’ve been diverting too many methyl groups from the methionine synthase pathway. I have been tested and positive for compound Heterozygous. My homocysteine level came back at 5.1…thats on the lower end of normal. So what does this mean? Am i methylating fine? As they are not elevated..
Or should i test SAH levels? If i could get some kind of idea of what to do from here? I would appreciate it sooooo much. I live in Australia and don’t know where to go or who to see that knows enough about this gene mutation. Im currently taking 1000mcg of Methylfolate and 1000mcg of Methyl- B12. My fertility specialist told me to take a high dose of folic acid but after reading your website i stopped, also put on clexane blood thinning injections. But Ive stopped the injections too as I’m having a break from my Dr as i want to make sure my body is at its healthiest before spending anymore money tracking cycles etc. So I’m taking low dose aspirin for the mean time. I have also added Fish oil and vitamin c tablets back into my diet. Should i be doing anymore to prepare myself for a healthy pregnancy?? Or does my homocysteine levels of 5.1 tell me that there isn’t too much of a problem? I have just been given the result of having MTHFR C677T HETERO single damaged copy. I am currently 20 weeks and taking 5 mg of Folic acid and Materna Prenatals. Wondering if it is too late or what can I do to prevent Placenta Abruption as well as stillbirth? I am 27 and have miscarried 3 times in less than a year, twice completely at 5 weeks and one “missed” miscarriage discovered by an ultrasound at 11 weeks. A hematologist ran 16 vials worth of tests on me, and came back saying with all my familial symptoms and RPL she had expected to “find more.” Even on the paperwork I received, they list heterozygous C677T as not being a contributing factor in RPL. From what I’ve read online from all the other ladies with C677T and RPL, I’m thinking I’ll poke around and come up with my own supplemental regimen to hopefully one day achieve a family. I am very glad to have found this site or I would have take the 4 mg of folic acid my doctor prescribed, and would have never known to take L-5-MTHF instead. Just a thank you to Dr. Lynch for giving so freely of his advice – something rarely seen online, if ever. Many write articles and blogs, but few indeed answer with ideas and advice. We are all better for this site and I am grateful indeed since like many, I read comments and learn from them as well as from the articles. Well, a lot and not so much has changed from when my nightmare started in 2006. I had 2 uneventful pregnancies, a loss due to missing X chromosome (Turners) and then an uneventful pregnancy with my first son. We tried for one more with the following results: blighted ovum, early 6 week loss, normal chromosome boy loss at 12 weeks missed miscarriage…..testing finally only thing significant hetro for C mutation MTHFR…extra folic acid from RE, peri agreed to baby aspirin to shut me up, all doctors including specialist in MTHFR told me my homocysteine levels were good and weren’t causing my losses. Two more pregnancies that resulted in missed miscarriages of a 14 week of normal baby girl and 11 week of normal baby boy(so much for it being my eggs fault) and another early loss. Found new RE and Ob…..did the “controversial immune testing” nothing……Finally both new RE and OB agreed there was something wrong but they just didn’t know what. I was put only extra folic acid and Lovenox and in 2009 delivered a healthy baby boy. Surprise pregnancy in 2012 and was switched to L-methylfolate prenatal and continued on the Lovenox therapy which the doctor who supervised the midwives argued that I wasn’t a candidate for since I only have one mutation. November 2012, I delivered a 8 pound 3 oz baby boy. I cried when I read this since I know in every fiber of my being, that at least the late losses could now be explained. This explains why I got blot clots in my leg from taking birth control pills and having over 10 miscarriages and failed IVFs. IVF doc classified me with unknown infertility. I wish I had know about this gene but that was 10 years ago before the Genome Project discovered this and I am now Peri-menopausal & almost 50. I was recently tested for MTHFR as per my request/research and am compound hetro. At least I have an answer and am living a healthy lifestyle that includes weightlifting and eating whole organic foods (gluten-free and nothing processed or enriched). I’m heterozygous for C677T and have had 1 miscarriage and 1 stillbirth. The cause of the still north was determined to be chorangiosis or abnormal blood vessels of the placenta. Sounds like this could be related to the Sah? I have recently tested positive for mthfr C677T heterozygous mutation. My doctor advised me to take 5mg of folic acid. I have an 5yr daughter with autism . My pregnancy included digestive problems , vaginal infection,rashes on body, and i got internal stitches coz uterus mouth had opened. I am planning for pregnancy. Wot are the things to be taken care of incding wot supplement should i be lukin at.if i have C667T heterozygous mutation .how will it effect on my pregnancy. Pls Help. I am heterozygous for MTHFR c677T. However I have the added bonus of having both Factor Five Leiden and the Prothrombin gene mutation (heterozygous for both). I had a miscarriage at about 6 weeks earlier this year. My husband and I have a beautiful almost 7 year old little girl. We have not tried to prevent pregnancy since she was born. The miscarriage in March has left me devastated. We are currently seeing a Reproductive Endocrinologist and are in the middle of a Clomid/IUI cycle. Currently I am taking a baby aspirin a day, 10,000 IU’s of Vitamin D, Methylfolate, and fish oil. Was wondering if I should take any of those things out or add other items to by regimen? With the clotting disorders and the MTHFR C677T should I be on a higher dose of Lovenox when pregnant? In 2006, I miscarried and became pregnant again two-months later, at which point I found out I had MTHFR. I was instructed to increase my folic acid intake and was not told which polymorphism I had. I just got a genetic test done and found out I am heterozygous C677T with increased homocysteine levels and decreased serum folate levels. I have been taking 15 mg of l-methylfolate for the last year and decreased to 7.5 mg over the last two months. That aside, I would like to mention that my soon was born septic and was eating up his platelets (which could have been caused by the infection or other blood related issues). He had 3 blood transfusions and only began sustaining his platelet count when I donated mine. On top of that he was born with craniosynostosis, and level 5 vesicoureteral reflux in both kidneys, both of which had to be surgically corrected within his first 3 mos. I am concerned that my MTHFR contriubuted to his birth defects, particularly the renal defects, as the kidneys are one of the first organs to develop in utero. In addition, I had a dermoid ovarian cyst that was surgically removed in the 16th week of my pregnancy. I was given fentanyl and an epidural for anesthesia and I’ve always wondered if this also contributed to his birth defects. Either way, I wanted to put this out there because not only did I miscarry, my son was born with severe birth defects, one of which could have been fatal. Any insights or information would be greatly appreciated. I have suffered from multiple miscarriages, went throught testing, and was diagnosed heterozygous for both a and c copies of the mthfr defect. My obgyn told me it wasn’t a big deal, and just to take double the amount of folic acid. I did some research and learned that I shouldn’t be taking folic acid, but folate. I then asked my primary care physician about my diagnosis to try to get answers and I still got no answers. I’m looking for guidance on what I need to be doing pre pregnancy and during pregnancy. I started eating clean, and currently am taking Liquid Health organic whole food liquid prenatal multi vitamin. I want to do whatever I can to have a successful pregnancy, and healthy baby, but unfortunately am lost because I have no more answers. Looking for any help I can get!! Thank you! I was tested compound heterozygos MTHFR. I get allergic like symptoms from many supplements. I get symptoms from Vitamin C, cod liver oil, NAC and especially microcrystalline cellulose and silicon dioxide (also named silica and this unfortenately in many of your supplements. I tested each of them separately. Now I was by the doctor and asked him to test homocysteine. After a little discussion he did it. The doctor said that he would do a therapy with low dose b6, b12 and folic acid. What should I do? I found a supplement now where all b vitamins (active form) in a normal dose are in with no additives. I should tolerate these but what will it do with my BD II? I am very sensitive to metafolin and methycobalamin I guess. I have been reading as much as I can from your site…thank you for providing so much info. I lost my baby girl to stillbirth at 26 weeks back in December 2014. I had a text-book pregnancy up until that point. I eat a whole foods diet, exercise, took my prenatal etc. She looked great at each OB appt. The hospital ran tests on my placenta and the umbilical cord and everything came back normal. I pushed to be tested for blood clotting disorders and was told that I have an “abnormal MTHFR”, but I do not know more than that. I have requested more info from my Dr. He did recommend Vit. B12 and baby aspirin. I was told by my OB that MTHFR most likely did not cause my daughter’s death. Since then I have had an early miscarriage (at about 5-6 weeks). I am now taking Vit B12 in the form of methylcobalamin. I feel overwhelmed about what tests I need to have next, if any, and what I should be doing now to improve our chances of a healthy baby (I’m 28 and married. Our baby girl was our first). Please have your doctors check you for FVL – a clotting disorder. Please do find out which MTHFR you have – and which your husband has. Evaluating hormones is also important. I like http://www.precisionhormones.com personally – very informative test. Thank you Dr. Lynch for your response! I did find out that I’m hetero C677T and I have been tested for FVL and I don’t have it. I was diagnosed compound heterozygous 12months ago following quite a few years of ill health. (aged 61yrs at diagnosis) Mainly digestive issues plus hypothyroid. I also started Digestive enzymes some months ago, which have made a huge difference. Initial stool test showed no Bifidobacteria, so also used probiotics as per GP, and been completely gluten free for some 10 years. My main concern is my homocysteine levels. Initially they were 11.5, but a few months after taking supplements fell to 7.7. Now for no apparent reason they levels have risen to 12.5. Would you be able to give me some idea what I should do now, to help lower them? May be a lab error – or maybe you were not fasting overnight? Or maybe you had a very high protein meal the night before – or the morning of your lab test? Thank you for your prompt reply. I had the test taken after 12 hour fast, so maybe I ate too much protein for dinner, cannot remember. Perhaps I will get my GP to re run the tests when I next see her. Thank you. I have 4 healthy kids and then after my 4th I had 5 miscarriages in a row all at 10 weeks. I know that’s when the placenta takes over, so it must be a clotting issues, since all the chromosomes from the fetuses came back normal. After all these miscarriages they finally did testing for everything and found that i’m heterozygous for both C677T and A1298C. My homocysteine levels are normal, but I’ve been on Neevo DHA and Vitamin B6 and B12. Can being on these medications decrease the levels, so that I might have been high before the meds? I’m told that there isn’t much I can do with this situation. I’m currently 7 weeks and want to make sure i’m doing everything I can this time to make sure all is well. Currently i’m taking progesterone 100mg Bid, lovenox 40mg Qd, baby asprin, and NeevoDHA. Is NeevoDHA a good source of Folate? Let me know if there is anything else I should be doing. Also, my mom had about 8 miscarriages herself, but between healthy pregnancies and at different gestational times. I must have gotten the mutations from her I believe. My situation is so different since healthy kids then 5 miscarriages in a row. The only thing with my last living child I had cholestasis of the liver later in pregnancy and had been induced at 37 weeks and no other issues. I have had liver tests done and it’s normal. All doctors I see are puzzled especially since I’ve had 4 healthy kids initially. Apparently they work more with women that have never been able to have a kids to full term. Please help me in what else I can do. I only have some much time till 10 weeks when all the others where lost. I did see heartbeat today. Thanks! Hello! Very curious on your take on someone who is otherwise healthy, but can’t get homocysteine level down. Anyway, what’s your take on this? Don’t see boosting any levels of B vitamin, and don’t see how one could take more than 6 grams of TMG a day. Your advice would be most appreciated! Thanks in advance! I am 32 years from Sydney Australia and I recently went through a missed miscarriage (first pregnancy) after detection of a healthy heart beat at 8 weeks. Bleeding occurred at 11 weeks. I see a naturopath (whom recommended your site) and she then tested me for the MTHFR gene mutation which I came back positive – Compound Heterozygous. test also came back with high Vit B 12 – 1059 & also Serum Folate – 45.3. Most articles I read only note High homocysteine levels? As knowledge into MTHFR is still new with most General practitioners in Australia, i just wanted to find out if having low homocysteine levels can cause blood clotting in pregnancy or other complications? Should i do other tests? The pathology companies in Sydney only do homocysteine and not further testing as SamE and SAH. should I just get a 23&me test done to cover the SamE and SAH levels? I am currently on Throne Methyl-Guard and L-5-MTHF as well as fish oils, vitamin D, a women’s prenatal called Mygen with Calcium Folinate. I also take Vit C, Chlorella, Spirilina and herbal mixture made by naturopath with Vitex / Chaste tree daily. I was previously diagnosed with PCO (16 & 20 follicles over a year ago but have been maintaining regular cycles). I’ve started Infrared Saunas once a week and try and do some exercise and or yoga 4 times a week. My diet has been vegetarian with eggs and seafood since I was 12 and am also mostly wheat gluten, sugar and dairy free. I am of healthy weight and don’t have any other symptoms or issues. I am contacting you as I would like to do as much testing as possible to ensure MTHFR doesn’t get in the way of me carrying healthy pregnancy in the future. Thank you for all your great info and articles so far! I am also in Sydney – and had 2 missed miscarriages in 2014. I am currently 5.5weeks pregnant and trying not to be crazy nervous – I am dairy, grain and sugar free and am currently taking Seeking Health Optimum Prenatal, Thorne methylcobalamin and a baby aspirin (cartia) every day. My homocysteine level is 8.3 (up from 8.0 in December after my 2nd misscariage) I have got my GP to agree to fortnightly blood tests and ultrasounds to monitor everything – and fingers crossed this is enough.. Please don’t hesitate to contact me regarding this – it would be great to have someone here to discuss with. I am being told that before wasting my time worrying about mthfr, that I need to address my CBS and comt first. Do you agree? Yes! 3 miscarriages with high quality embryos. My fertilty dr does not feel there is any significance to the very recent MTHFR diagnosis ( compound 677t /1298c hetero). Ive started doing my own research which is the only reason I even found out I had compound MTHFR. I requested genetic testing, which again the dr didnt feel necessary. Blood tests over the past two years have put my homocysteine in the 11-12 range.I tried to get it down by taking daily for a two month period B-vitamins (good quality) that included 2000mcg of methylcobalamin, 1600 mcg of L-5 methylfolate, 110mg B-6, Riboflavin 50mg, and 6 GRAMS of TMG! Also had sufficient zinc and magnesium. Homocysteine level hardly budged. My triglyceride is 51, LDL is 66 (total cholesterol 167) and T-CHO/HDL ratio is 2.0. Even with the MTHFR mutation, wouldn’t this level of supplementation help? Don’t see boosting any levels of B vitamin, and don’t see how one could take more than 6 grams of TMG a day. It has recently gone up to 13.9 since I stopped the massive daily dose of TMG. Your advice would be most appreciated! Thanks in advance! Only about 1% of Vitamin B12 taking orally is absorbed because it is such a large molecule. If the methylcobalamin you’re taking is in oral form, such as part of a B vitamin complex, you may not be absorbing enough of it to have any impact on your homocysteine level. Hi Lynn, Thanks for the reply. However, when I take a blood test, my B12 level shows as being more than sufficient. Is blood serum B12 a reliable indicator? If not, what is better. Also, if oral methylcobalamin is so poorly absorbed should I switch to B12 injections? Some other suggestion? Thanks! The blood serum B12 is not a reliable indicator. It is a total of both the active and inactive forms of B12. It measures what pools in the serum, not what actually gets into the cells. A better test is MMA – methylmalonic acid. It’s available as both a blood and urine test, and urine is purported to be the better test. MMA is an acid produced in conditions of Vitamin B12 deficiency, so lower MMA values are healthier. You might possibly benefit from adding adenosylcobalamin, a form of B12 that is in the mitochondria. Methyl and hydroxycobalamin are in the cell cytosol and they intraconvert with adenosylB12. Sublingual methylcobalamin is better than oral forms. IM B12 injections are superior to sublingual, and subcutaneous B12 injections are even better. The form of B12 for injections that is readily available from pharmacies is cyanocoblamin, however, and people with MTHFR snps have trouble converting the cyano form to methyl, so cyanoB12 is not recommended. You can get injectable methylcobalamin, but I believe it would only be available from a compounding pharmacy and much more expensive. It’s ultra sensitive to light damage and converts to the hydrocobalamin form unless extreme measures are taken to prevent light exposure. The amber bottle doesn’t provide sufficient protection. I use a transdermal methyl/adenosylcobalamin I get from b12oils.com. Their testing shows it to be comparable in absorption to subcutaneous injections. It comes in a light-shielded pump with preset dosing. Pressing the pump emits about 1 tsp. of a red oil-based fluid that takes about 15 seconds to rub into the skin. It is a unique formulation of nano water-soluble B12 molecules in a carrier oil base. The oil base allows the compound to be absorbed into the skin, a lipid environment which only allows something oil-based to be absorbed. Once it’s penetrated the skin barrier, the water-based B12 migrates into the blood stream, an aqueous environment. I use one pump a day and my MMA values have dropped to mid-range. I used to use sublinguals, and because they are acid-based, it seemed like they were eroding my enamel. MTHFR and Folate Presentation. Go to http://mthfr.net/is-mthfr-related-to-x-condition-x-disease-x-symptom-x-syndrome/2015/06/10/ and you’ll find the link to his video presentation. He explains in the video how the factors he mentioned in his response to you could be relevant. Thanks so much. Feel like I just got an education in B12 from a whole new perspective! Will look into all of the links you sent me and try out a transdermal B12 and see how it works. Will let you know! Would you recommend lyposomal gluthathione to help kick start the methylation process, or just a waste of money? Correction: Homocysteine interacts with L-5-MTHF and B12 in the folate cycle. Regarding liposomal glutathione. I haven’t taken it myself, although I’ve entertained the thought, because my OAT shows I’m low. According to reports on the Phoenix Rising forum, after some CFS patients trialed taking glutathione (don’t know if liposomal or IV or what), they didn’t seem to benefit. The conclusion was that it’s better to optimize the precursor steps, the folate and methionine cycles, and indirectly boost glutathione levels that way rather than supplementing with the end product of glutathione. I have a friend with MTHFR (I think homo C677T), with unusual health problems, who experienced a great boost from taking Xymogen’s s-acetyl glutathione. She described it as feeling like what a drug high must feel like. But she only took it a short time – maybe one or two months, because I think she was told it wasn’t good to take on a long-term basis. If you do take glutathione, I hope you report your experience. Thanks for the feedback. I also heard that taking glutathione was ineffective, and that the precursor steps were needed to actually manufacture glutathione in the body for it to be effect. Also, correct me if I am wrong; getting the methylation cycle working is a long-term process. So taking anything that is unadvisable on a long-term basis, such as s-acetyl glutathione, to me doesn’t seem like a good idea. I was toying with taking a month of lyposomal glutathione. If I do so, I will let you know if it has any effect on my homocysteine level. Also, Dr. Lynch raised the possibility of heavy metals, yeast overgrowth, viral loads, inflammation. Do you know what he means by viral loads? How would you tell if that was a problem? Wikipedia defines viral load as a numerical expression of the quantity of virus in a given volume. Routine testing is available for HIV-1, cytomegalovirus, hepatitis B virus, and hepatitis C virus. I think suggesting viral load is shorthand for saying that viral infections, particularly chronic ones, can gum up the body’s machinery and lead to inexplicable lab findings. Oftentimes the infection is insidious and people are unaware they have one. They might just feel poorly with no overt symptoms. Maybe high in heavy metals or yeast overgrowth or viral loads or inflammation? Thank you very much for the response. Definitely not low in magnesium, probably moderately low in glutathione. However, my understanding is that oral glutathione is actually quite ineffective at raising actual glutathione levels. My CRP level is extremely low – 0.012 mg/dL, so inflammation is not an issue. Previous hair tests showed no problem with heavy metals. yeast overgrowth – probably not; diet very low in sugar. Does that affect methylation process? Viral loads – how would you tell? Hi Dr. Lynch thank you for your hard work on Mthfr. I am 55 and have hashimotos. I have been searching for years for a cause of my symptoms which I finally attributed to my thyroid condition. In March 2015 I tested positive for C677T Homozygous.i went to a functional Dr. Who started me on methylfolate 1 mg. slowly increasing to 5. I also went on the palieo diet. Prior I was having neurological symptoms ie: tingling in hands and clumsiness, major brain fog, memory issues, swallowing issues. After starting methylfolate the tip of my tongue became sore and has been since the beginning of May. So I started on my own taking methyl B12 2500mcg. 2x a day still with no relief. I have never had my b12 levels checked and my functional Dr. Sent me B complex shots without checking my B vitamin status. I was referred to a hematologist by my gynecologist and finally had an appt. only for them to call and say that Mthfr has nothing to do with clotting and he can not help me so they CANCELLED the appt. how disappointing for me and embarrassing. I have had to miscarriages in the past and have had 2 healthy children. My homeosysteine was 7.9. So I reached out to a new Dr. From your list and hopefully she will be able to help me. My mother had a miserable life of pain and mental illness and I do not want to go down that road. Both my sisters are heteroz for C677T one had cancer and the other has Parkinson’s. My 2 brothers have not been tested. 1 has prostate cancer the other has MS. Any thoughts on B12 shots or other advice. Please keep us updated on your progress. Wishing you the best. Hello dr.Aron, thank you for your reply.I just want to update you with what has been going on with me and my treatments.I have ordered dr.Lynch supplements which I got from UK (as they are not available in my country).I have been taken homocystex and folate 1000.I have had some mild side effects like headaches but I’m ok now.I also take baby aspirin.My homocysteine level came back normal around 7.The only thing except my mthfr mutation is higher Tsh 2,3 level and Im taking euthyrox to lower it down to around 1. Thankfully I have found a good Doctor who agrees with your methods and supplements and understands the mthfr mutation.Hopefully we will get a green light for trying for a baby soon and I will achieve a pragnancy with a happy ending .Will keep you updated.Thank you for this website!I would never expect that so many women suffered a miscarriage because of mthfr mutation.It’s sad and scary but at least we know what to do now and there is a hope for women like me.Thank you! Two miscarriages, one ectopic and one chemical pregnancy. Compound heterozygous. Everything else is normal. I was just recently diagnosed with Compound Herero mthfr. I’m still not 100% sure what all this means. We just had our second miscarriage after IVF, i also have “slim”Pcos. ( although the they say my insulin levels don’t say I have Pcos, although I have all the symptoms, cysts, hair growth etc) I am 26. We were able to test our baby after this last miscarriage, and found that he had trisomy-13. After this miscarriage I was at the point with thinking maybe my genetics were too messed up to ever have a baby. All of our other embryos did not make it to day 5. Is it possible to conceive with changing my diet and taking the right vitamins? What do you recommend for someone in my situation? My doctor put me on folbic which I read I should discontinue. Could the trisomy-13 in our baby be a result of he Mthfr? Any advice or help would be greatly appreciated. I would love to see a doctor that deals with this but there are none I have found in Florida. Suggestions? Infertility is the hardest thing I have ever dealt with. Hi Erica – Fertility is a largely determined by the health of each parent, so proper diet and supplementation are critical. Please see Dr. Lynch’s write up on prenatal supplementation as a guide (http://mthfr.net/prenatal-supplementation-optimizing-your-future-child/2012/01/20/). Also the physician directory is a place to start looking for help in your area (https://seekinghealth.org/physician-directory/). Wishing you the best. Please keep us updated! then I had another miscarriage at 12 weeks recently I was diagnosed with MTHFR GENE MUTATION HETEROZYGOUS and normal level of homocysteine , my doctor tell me to take baby aspirin and another doctor tell me that my case as heterozygous MTHFR is not a big problem just take blood thinner medications only. but I still have the symptoms I previously mentioned so I decide lonely to take methyl folate+ methyl b12 in low dose. tell me the right steps to follow and what is the correct doctor opinion of my doctors? is it not a big problem ? do I suffer from illusion? Elham – So sorry to hear about your difficulties. Based on your symptoms, it is probably a significant issue for you. You may want to consult a doctor who has completed training with Dr. Ben who can help you on an individual basis by searching the physician directory. If you are trying to conceive, you will also want to see read this article discussing Dr. Ben’s general approach to prenatal supplementation here. Make sure to read this article on Preventing Methylfolate Side Effects before you start taking methylfolate and methyl-B12. I hope this helps you take steps in the right direction. Please keep us updated. All the best! I am compound heterozygous for MTHFR. I had 2 miscarriages in 2014 after which I demanded i be tested for everything! At 24 years old i was not prepared to believe that this was ‘bad luck’! I do not eat grain or dairy as a general rule – however with both pregnancies i started taking a standard prenatal (full of folic acid). About 3 weeks after the second miscarriage i also had my homocystiene levels measured. they were an 8.9. I am now 21weeks and the bub is perfect – we are over the moon, we monitored my homocystiene levels throughout the first trimester and it had dropped to 5.8 by week 12 and at 20 weeks it was a 3.8 – My hospital want me to stop taking the aspirin now – but im nervous! if i maintain my supplements is it ok/ less risky/ what do you normally tell people? I don’t even know where to start. I have searched this site for weeks and others to educate myself and the more I read the more confused I become. Everyone’s stories are so different and although they help some, I’m still left wondering what’s best for me. As if that’s not enough I wonder if this site is still even active as I see less and less responses from Dr Lynch (at least in this thread). So like everything else that’s grey for me right now I will be hopeful for a response and maybe someone to shed some light on what seems to be a dim situation. Here is my story. I am so very blessed to have a perfectly healthy 4 year old. I had a perfect pregnancy and delivery at the age of 28 (I increased my folic acid to 1200mg after reading a study and thought it couldn’t hurt) and was no way prepared for what would await me trying for my second at the age of 32. As far as my personal health, I have always dealt with anxiety/depression, incidentally found out I have pectus excavatum (which is a NTD), 2 years ago I started struggling with chronic fatigue, pain/tingling in legs, repeated strep/yeast infections and even got pertussis, along with heart palpitations (work up fine). Had my immunoglobulins checked all very low normal. After 3 miscarriages, the OB finally did a work up after I insisted. It came back compound heterozygous for both mutations. My OB said he didn’t know what it meant and hadn’t really dealt with that before (similar to others). My ana also came back positive, ena 2.7, functional protein c 153 otherwise everything was normal. Homocysteine was 4.2 and b12 normal. I ordered the prenatal protein powder and the active b12, do I need both? What about homocystex? Nattokinase? I’ve read all the recommendations for prenatal supplementation but am confused on which are necessary for me. what about such a low homocysteine level? Not only am I worried about a achieving a healthy pregnancy but also now hearing the countless stories of NTD, autism, etc. I am worried about the future of a child I will have. I want to clean up my health/body but don’t know where to start. Any help would be life changing! Thank you sharing this- these two tests will be next on my list. I have had 3 losses, one being a partial molar at 15 weeks, one tested positive for chromosome 11 deletion also 15 weeks, and the last was 7 weeks after heartbeat heard. I’ve also tested for everything, only to find MtHFR positive 677. I’m not taking MetanX, prenatal with methylated folate, baby asprin, and some standard process glandulars in hopes of improving egg quality via my natural path dr! My RE didn’t give many answers except start heprin shots for at least first Tri if we fall pregnant again. My question- we tried IVF and still have 3 frozen before taking all these- would my chromosome problems be coming from poor egg quality from having MTHFR, and I should stick with trying naturally vs frozen embryos? OR- did my problems come after getting pregnant from blot clots?! I can not find the answer anywhere 🙁 Please help! Oh! I also have a healthy 5 year old with no complications! Hi, I recently have got my results back of Hetrozygous for both compounds and have also had homocysteine levels of 17. Can this be right? Could the test be wrong? It’s seems very high. I have recently had cervical cancer and had a massive blood loss after surgery could this also affect results? My folate and b12 were normal. I’m also a heterozygous for haemachromotosis. I recently discovered that I am hetero A1289C. I’ve had two easy, no complication pregnancies and births (now ages 12 and 7), and more recently, 2 early miscarriages. My doctor had me start taking a baby aspirin every day, and I researched on my own and found vitamins and supplements that are MTHFR friendly. I’m hopeful that with these changes, I’ll be able to carry to term next time. It just baffles me, though, that with my 2 living children, I did nothing special, and they were fine. Dana you sound just like me! 2 easy, great pregnancies, then a miscarriage discovered at 14w and another after seeing the heartbeat 3 times. I took aspirin, Dr. Thornes prenatal, progesterone after being pregnant and our rainbow baby will celebrate his first birthday on March 4th! Prayers as you learn about this mutation and for your next pregnancy. The way I was told to understand why we had the two uncomplicated pregnancies is that like any gene issue, you don’t know it’s there until you have a problem. No one knows they’ll have breast cancer until they find it. A friend has it as well with two easy pregnancies but almost died from a blood clot after a surgery(homo mutation) and then discovered the issue. In Australia the S-adenosylhomocysteine (SAH), SAM, Methylmalonic acid (MMA) and CBS gene tests are not available at pathologies, so what are we to do? MTHFR is the only test available because of a big media hooha from a journalist who found out she can’t process folic acid. There’s no point doing any of these tests if they’re not complete. You may order the Optimal Prenatal Protein Powder from http://www.SeekingHealth.com – as we ship overseas as well. I wouldn’t use HomocysteX Plus instead of Optimal Prenatal – it’s quite different. Low homocysteine is related – possibly – to low protein intake and absorption. Evaluate your protein intake and digestion with your doctor. Im hetero a1298c and had 3 miscarriages.I also live in the UK and want to let you know that you can buy Optimal Prenatal in here, give me your email address and I will send you the website from which Im buying my Optimal Prenatal Vitamins. Claudia – You may post the link to the website here – no need for private email. I know this is over a year ago now. But, I have had 4 miscarriages. The longest pregnancy was 8 weeks. I was “diagnosed” with one mthfr mutation A1289c. I’m assuming that makes me hetero? This is all so confusing. I have high blood pressure as well. Depression and anxiety. Not sure if my anxiety is due to my accelerated heart rate? Anywho. I’m taking methyl folate by Thorne and baby aspirin. I’m honestly too scared to try right now to get pregnant. I don’t even ey excited anymore. I automatically expect to miscarry. The MTHFR A1298C heterozygous mutation that you have – yes you’re right – is not that significant. There is likely other things going on. Working on reducing blood pressure and supporting depression/anxiety are key and do play a role with healthy pregnancy. Please work with a health professional – http://www.seekinghealth.org has a directory of professionals you may consider. Barry Smeltzer, MD is a good one. Michael Stone, MD in Ashland, OR is another – he’s not in the directory but specializes in this area. Thank you for responding. So you’re saying that my mutation , most likely, isn’t the only thing causing my miscarriages? Thank you for the information. I’ll definitely look into those links. I am 35 years old, heterozygous on both MTHFR SNPs. Diagnosed with Fibromyalgia, Depression (treatment resistant), PTSD, and Idiopathic Hypersomnia. A few years ago I was tested for B6 which was at 21.5 nmol/L and B12 which was 259 pg/mL. I was not tested for folate. Lately, after doing the research on MTHFR, I realized this may be a big part of my problem. So yesterday I requested a homocysteine test but it came back at 5.5 umol/L. I am going to test for B6, B12, and folate this week. I have had lead poisoning multiple times over the last 8 years (restoring an old house) but not in the last couple years. I purchased Methyl Guard Plus but only took 1 pill, then waited 3 days before doing the homocysteine test. Could it still have affected the results? After the test, I took a 2nd pill. I figured I’d wait 3 days before doing the B6, B12, and folate test, would that be long enough? I’m compound hetero and have had 2 early miscarriages and 1 healthy baby. I did have unexplained bleeding at 16 weeks gestation, but baby was okay. When we ran my homocystine last year it was 4. My MCH is chronically low. This latest round of blood work came back really strange, red blood cells were high and oddly shaped. Anemia off and on throughout life, currently anemic. I now experience histamine intolerance and fibromyalgia symptoms. When I told my Mom about this most recent round of labs she offerered her condolences for passing on the trait of being able to flunk a blood test. Her and my grandmother’s white blood cell counts were chronically high. Mom has had 2 pulmonary embolisms and her brother has had one as well. I had a missed miscarriage in oct and found out I have a homozygous copy of mthfr c677t and the high risk dr I had to see when I found out I was pregnant again in march didn’t give me anything any info on it just said my levels came back normal so I should be fine with this as pregnancy and I just missed miscarried again this time I actually found a clot at home when I was supose to be okay and unfortunately that was the same time they estimated the loss. So lost for words. I was lucky and found out I had the hetero c677t gene before trying to conceive. Unfortunately I’ve had two early loses despite taking an mthfr friendly prenatal, methyl b12, methyl folate, dha and NAC. My homocysteine levels have been checked and are sitting at 6.6 and my methylation tests all came back healthy and within range. My docs refuse to give me any treatment until I have had 5 losses (standard in my country), saying that as they are early losses (6 weeks) nothing is wrong with me and that there is no way it is possible that mthfr is involved and even if it was clotting is not related. I’m at a loss of what to do next. I’m really healthy otherwise and eat a good diet, avoid folic acid and don’t have high stress. Yes that is a high homocysteine and can contribute to fertility and pregnancy complications. Taking natural folates and supporting your system with the prenatal recommendations in the article above has helped many women and men have healthy beautiful babies. Working with a good doc and one that knows that high homocysteine is a problem. The naturopath appears to be on the right track. I was diagnosed with 2 copies of the C677T mutation in 2009 after having my 2nd missed miscarriage. I referred myself to a Reproductive endocrinologist who tested for this. I then took baby aspirin and folic acid through my subsequent pregnancy which I carried to term and delivered a healthy son 1/2010 (but my placenta did not separate naturally, leading to significant hemorrhage). Self diagnosed with placenta accreta because my providers were too laid back and spent 3 years dealing with PTSD from the delivery. I became pregnant and carried the pregnancy until 28 weeks where we discovered my daughters heart had stopped (it was a normal heartbeat 9 days prior).On 11.21.13 the induced delivery brought on another hemorrhage 1 hr pp, despite regular ultrasounds to prediagnose an accreta. The Pathology repot confirmed a complete accreta this time, and the pathologist retroactively found my historical slides confirming the 1/2010 delivery was also an Accreta(at least focal). The autopsy found nothing conclusive regarding our babys health, or what caused her heart to stop. They tested me and my son with EKG’s to look at heart rhythms but found that to be inconclusive as well. Despite it being unsafe for me to conceive again, I’ve switched to a multi with no folic acid… Seeking Health chewable, and Methylated B vitamin. Have you heard of a similar story with any of your patients. My Homocystine was normal, 5.9% the last time it was checked. I appreciate your thoughts here. Have you checked for Factor V Leiden gene? Causes clotting. Check for this. I have had two missed miscarriages one in oct 2015 and once recently in April 2016 and I was only given baby asprine and told I didnt even need it being my levels were normal. I have two mthfr c677t copies and knowing what I know about it know I know it already affects my health. And with my last miscarriage my ob told me that mthfr doesnt cause problems in early pregnancy I don’t know where to go from here. When this is like the only contributein factor. There has been no problems with the fetus or me getting pregnant. What should I do. I was recently diagnosed with MTHFR homozygous a1298c. I asked my gyno to test for MTHFR because I have had 3 miscarriages. I had no issues getting pregnant with my first, had a great pregnancy and started trying 6 months after my delivery for #2. That was 4 years ago and I’m still trying. After the first 2 years of trying, not one positive pregnancy test. My TSH is fine but My FSH levels were elevated (typically 13 but as high as 23 but it was 9.9 last test) so I have poor egg quality. I know this plays a role as well. After trying everything without seeing a RE (my insurance doesn’t cover infertility) I then turned to TCM and started a gluten free, dairy free, refined sugar free diet for a little over a year. I was able to get pregnant 3 times on that diet but miscarried between 5.5-7.5 weeks. I got frustrated after the 3rd miscarriage so I stopped the diet. Only for this reason I’m guessing I may have a gluten sensitivity? I pretty much can eat what I want and not over weight. I don’t know where to go from here or what to test next. Im guessing my gyno doesn’t know much about this bc he says that there is no clinical significance so he suggests to just get my homocysteine level checked and go from there. I’m trying to gather information from the responses you’ve been giving. Little bit of family history: Migraines run in my family. As a kid I got them daily. Not so much anymore but when I get a headache, it becomes a migraine and I get so sick to the point of vomiting. My sister gets them daily and is prescribed meds for hers and my dad would get them instantly if he drank a little bit of alcohol even just one beer (except wine he could drink). Heart issues also run in my family, my grandmother had a brain tumor, my aunt had blood clots in her leg and needed to take injections. After reading all these posts I really think that this mutation might be part of my problem staying pregnant and I don’t want to treat this like it’s not significant. What tests should I take next? I’m so confused how to tell if I can’t take folic acid or if I’m deficient in b12, etc. any direction would be appreciated. I also forgot to mention my mom had 2 miscarriages before have 3 successful pregnancies. Hello you should ask check your Cardiolipin levels which is related to anti phospholipid syndrome. The. Diagnostic criteria for this is 2 miscarriages consecutively and 2 positive Cardiolipin tests. please give me some advice, I wrote on several posts but I didnt get any answer. This is my story…33 years old, no children , 2 missed miscarriages in 2 years. I did alot of testing after my first loss. I am MTHFR C677T heterozygous and PAi-1 4g/5g heterozygous. In second pregnancy i took 1000 mcg of methyilfolate, 2000 mcg of methyilcobalamin, 50 mg P5P b6, fish oil, prenatal vitamins and i was on clexane blood thinners….and our brave heart stopped beating at 10 week, we discovered that on 11 week ultrasound. after that second miscarriage we did more testing, genetic testing HLA and karyotype came back normal for both me and my husband. Cardiolipin levels, protein c and protein s , Lupus antiocoagulas all came back normal. 3 months after i stopped supplementing my homocysteine levels were LOW 4,5 and my b 12 levels were HIGH 700, folic acid levels vere in the middle range even though i didnt supplement folic acid, i took methyilfolate instead, here they dont test serum folate levels unforutnatly. my question is do you think i was overmethyilating and because of that my leves of homocyteine are so low now? I cant do SAH testing here in Croatia but I’ll try to do MMA . I am starting to prepare my self for another try, another pregnancy and I know i need to supplement…but i am worried…should i take lower dosed od b12 and b6? could low homocysteine levels do more harm in pregnancy? My second RE thinks that i wont need clexane in second pregnancy, only baby aspirin but personaly i am horrified and I’d like to try both…because i am so terrified of another possible loss. Also even my hormone levels are ok my RE think that cause of my losses were late ovulations that cause bad cells,consequently damaged zygote that evenutally stopped developing at 10 or 11 week. It makes alot of sense for me but i feel i need more of a global aproach considering my mthfr and pai-1 mutatoins, and also high TSH levels that iam treating well with euthyroxe, and now htey are in good range. Thank you DR. Ben…any advice will be well appreciated. all my other hormone levels are fine, my TSH level 1,5 now since i am on euthyroxe. If you think that you may have a problem with the eggs quality then you can check your dhea levels and if its low you could try to take some dhea tablets-it improves the egg quality. Did you check yours AMH level? High B12 can be for many reasons – but one is low methylfolate. Please read this as well as it provides information on how to support your pregnancy nutritionally – for many people. Do as recommended by your healthcare professional. Low homocysteine is a problem. If low, then it tells me you may not be eating enough protein or you have oxidative stress and may be deficient in glutathione – or both. Low homocysteine can lead to low methylation – and that is essential during pregnancy – and life in general. Hi Dr Ben, Yes I have have mthfr hetrozygous A and C. I have had 4 mc in the last 2 years with no live children yet. I’m 31 and found out I had mthfr after my second loss. Since then I’ve been on baby aspirin and natural vitamins with methylfolate, and now avoid foods fortified with folic acid. My last loss was recently, June 7 exactly 2 yr from my first loss 6/7/14. I was put on lovenox with the last pregnancy and still m/c. All my labs are normal excpt for mthfr so I would love to do new test to see exactly how my mutation is affecting me and my babies. I have MTHFR C677T, I’m homozygous. I’m a geneticist and I diagnosed myself for this mutation. I’m currently 13 weeks pregnant with a healthy pregnancy so far. Thanks to your methylfolate and methylcobalamin supplements, which i’ve been taking for 9 months. I also started taking fish oil for its natural anticoagulant activity. Do you recommend that I take baby aspiring and Lovenox? My OB/GYN doesn’t recommend that I start taking blood thinners due to the risk of placental abruption and miscarriage. He told me I should only drink plently of water, exercise and I’ll be fine. What do you reccomend? I am 38 years old and have had so many medical issues that never made sense to me or to most Dr.’s. In my last 20’s, I had a Fertility Doctor do a lot of testing to find out why I was miscarrying all the time. I was diagnosed with the MTHFR Gene Mutation C677T and A1298C Compound Heterozygous. I am now seeing a cardiologist for my heart condition known as SVT. He sent me to have my homocysteine levels checked along with my folate and B12, B6 and other B’s tested before sending me to a Hematologist. I just received a call from my Primary Dr., who also requested to see the results of the blood work, and they told me that all my tests came back normal! They are mailing me a copy of my results to take to my cardiologists office. I am so confused now…Can you please help me understand how I can have this Gene Mutation that is taking such a horrible toll on my life, but my blood work is normal? Am I missing something? Am I still at risk for certain health conditions? I really need some answers and I hope that you will respond. I was have hetero c677t and my doctor put me on folate and hydroxyl b12 even though my levels were split between under and over methylator. My homocysteine levels were at a 6 a few months ago and now they have dropped down to a 3.3. This scares me a lot. I don’t feel good on b12 and folate as they make my inflammation in my legs out of control. Should I take SAMe or methionine to get levels back up? Also my b6 level is very high as well!! I have been told I am heterozygous (one copy) for the C677T. My OB and my RE have told me that it is not a problem because my homocysteine levels are not high. I have had 2 miscarriages and a stillborn. I am currently taking prenatals with folate, a B-complex #12 vitamin, and baby aspirin. I was reading your article and I think that might be my problem but your article doesn’t give a solution. Would blood thinners, lovenox, help me to have a successful pregnancy? Or what would you suggest? A call out to Healthcare Professionals! – My first pregnancy, I was induced 2 weeks early because of PREECLAMPSIA. – Second and third pregnancies, MISCARRIED both times in first trimester. – Battled INFERTILITY for a few years. – Fourth pregnancy was full-term but had an emergency C-Section due to a PLACENTAL ABRUPTION. – Fifth pregnancy went smoothly, thank heavens! – A few years later, my Dr. suggested I get an endometrial ablation to alleviate the MENORRHAGIA that had plagued me for years. – Two years after ablation, I began having severe health complications, almost lost my job and was thinking I would need to go on disability. Five years, 10 – 12 doctors/specialists, and multiple tests later, I still had no answers and not one positive test for anything. It wasn’t until I took matters into my own hands and searched the Internet for answers that I first found MCAD (mast cell activation disorder). I began trying some of the suggested treatments and started avoiding triggers and I began to feel slightly better. When I tested positive for POTS, my neurologist began to take me seriously. As she ran more tests, I found other information online about MTHFR. Since my B12 and homocysteine was slightly elevated, she agreed to test for MTHFR. I think she was shocked that it came back as homozygous for A1298C. I am very grateful to have these diagnosis now as I am able to try treatment options that I read about online, however, I cannot find a Dr. who knows anything about this issue. I would love to get tests done to help me know if I am low or high in things such as Glutathione or if SAM-E would be necessary for me. But my Dr. told me she doesn’t even know what tests to run and she had no idea who to refer me to. I provide print-outs of documents such as this article, and they get looked over and dismissed. I am 100% on my own, treating this mysterious condition. I feel tremendously better, but I am angry. I am angry that my OB/GYN throughout all 5 pregnancies didn’t know about MTHFR. If he had, he may have put 2 and 2 together and discovered the issue before I suffered with severe, debilitating symptoms for 5 years with no answers. I am angry that when I would try to provide a comprehensive list of all of my symptoms, doctors would gloss over and dismiss them because they couldn’t correlate them to anything. I am angry that when Dr.’s found out that I had been doing research online, they would become irritated and treat me like a hypochondriac who is just having panic attacks. I am angry that because I had days where I looked and seemed fine, they felt justified in thinking that I was overreacting. I am angry that when I gave my son my test results and he asked his Dr. to test him for this genetic disorder, she completely dismissed his request and suggested that he just use lotion to treat his skin rash that had been a problem for over a year. And I am angry that I cannot find any doctors in my area who can help me more than I can help myself. I used to think that doctors were the experts, but not any more. I am grateful for the Internet. 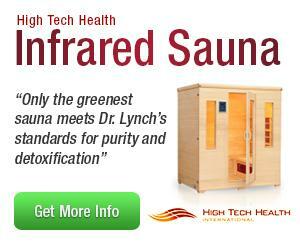 I am grateful that I bought an infrared sauna that led me to the research on MTHFR. I am grateful for sites like this one that have helped me tremendously! I am grateful that I have more good days than bad now. I am grateful that my family no longer thinks that Grandma died a crazy, hypochondriac that was just looking for attention. And I am grateful that I have been able to help my mom and son get a handle on the symptoms that have been plaguing them for years. Now if I can only find someone in the Salt Lake City, UT, area who is willing to learn more about this condition, who is open minded, and who can help me fine tune my treatment. If you are a provider reading this who can help me, please respond. to take methylfolate and vitamine B12. and depression, so she told me that would help me. Should I take this supplement? Thank you! My daughter is compound heterozygous and has been advised to supplement with B vitamins. However, her homocysteine levels are always very low, about 3. Won’t supplementing with B’s further lower her homocysteine? Is that dangerous for her? Thank you so much. You are right. If her homocysteine is low, then she likely needs to consider more protein and also liposomal glutathione. Do note that young children’s homocysteine levels are commonly lower than adults. This is my second pregnancy and with both my homocysteine has dropped from normal to low (between 1.5-2.5). I assume it is because I take prenatal vitamins, however there is only 500mcg of MTHF and I think it’s best to take this when pregnant.. Can I take glutahione liposomally whilst pregnant? Homo MTHFR. Hi, I’ve had 3 consecutive miscarriages within the last year. The first two pregnancies ended around 7.5 weeks, the last one only made it past week 5. I had the usual round of blood work and everything came back normal- I finally got tested for the MTHFR gene and found I was heterozygous c677T. The birthing center I got tested at prescribed a baby aspirin and about 400mcg of L-5 MTHF and 1,000mcg of Methyl B12. The suggestion was that I do this routine 90 days prior to trying to conceive again. After some research I decided to do Thorne prenatals (400mcg L-5 and 600mcg methylcobalamin) with an additional supplemental lozenge of Active B12 and L-5 (from Seeking Health). I’m not sure if this regimen is enough, too much, or just right. Any help is appreciated. You need to talk with an integrative OB/GYN. Miscarrying this early is a sign of low progesterone. Again though – you need to evaluate your hormones before trying again. Please visit http://www.seekinghealth.org to find a doc near you or can do remotely. Dr Barry Smeltzer is great with pregnancy related concerns. I had a healthy pregnancy in 2013 with my daughter. Since then I have had 5 miscarriages. It was discovered after these losses and RPL panels that I had MTHFR hetero C677T. I have had thousands of tests, and this is the only thing abnormal. I was told to take baby aspirin and folate, but still miscarried. I recently requested my homocystine levels be checked and am currently waiting on those results. I wish I would have read this article prior so I could have requested the SAH be tested as well. Do these levels need to be checked during pregnancy, or at any time? We are about to do a round of IVF and I most definitely want to be proactive before we spend thousands of dollars on the procedure only to miscarry again due to the MTHFR. Every doctor I have seen has said MTHFR has no significance. MTHFR is a big issue – no question. Just because you have only 1 MTHFR 677 snp doesn’t mean it is working well. It can be dirty if you are deficient in riboflavin, high in folic acid, low thyroid, etc. It’s not a simple cut and dry issue. I highly recommend working with an integrative doctor before IVF. Your husband could also benefit from nutrients. I recently tested positive for mfthr a1298c after suffering three pregnancy losses in 4 months. I had a miscarriage at 8 weeks 3 days, after 3 ultrasounds with healthy growth/heartbeat BUT very slow rising hcg (this was after a drop in hcg). I then had two chemical pregnancies. I tested negative for all the clotting disorders but as concerned my doctor will not feel thourough testing is necessary. I am taking a prenatal with the l-methylfolate (as well as the recommended B vitamins for this condition). I started baby aspirin, as it seems it cannot hurt. I am currently trying to conceive but am terrified I will have another loss that COULD be avoided. How costly are these tests out of pocket? Is there anything else I can take or do to help myself with this situation. I had a healthy pregnancy with my almost 4 year old but now, at 38, I worry this new situation will lead to more losses. Yes, once. 2 full term pregnancies otherwise. After 6 years of trying for a baby, 4 rounds of IVF, 10 miscarriages, embryos that were high quality tested embryos that didnt go on to get heartbeats, 4 doctors that refused to test for MTHFR, a false/negative when I was finally tested….I FINALLY talked my new doctor in to at least trying the protocol I wanted with Lovenox, high levels of antihistamines (because they thought I was allergic to the embryos) and I got my baby! It did work! My baby boy is 16 months now. However I have been brutally ill on and off since his birth. I finally talked my fertility doctor into testing for MTHFR again and I have the A1298c mutation. We have 1 more good embryo frozen to use. I’m trying to get my body prepared, but keep it as healthy and safe as possible for myself and baby. I want to get my health on track first. I was looking back at my homocysteine lab that was drawn when I was around 35-36 weeks pregnant. It was 3.5. Is that a good number during pregnancy or too low? That was drawn in October 2015. I took a Prenatal with folic acid instead of folate because I didn’t know then what I know now. I also am curious if I shoukd request the lab be checked again not pregnant? I had some scary stuff happen late in pregnancy (face drooping, tingling arms and fingers) so an MRI was also done. Now my doctors just want me to take 1,000 mcg of folic acid total along with a Prenatal to get ready for baby 2. I do not want to. I just stopped my regular Prenatal with folic acid. I want to detox my body and start a new Prenatal formulated for MTHFR. Any suggestions on one? Any suggestions on a good detox? I greatly appreciate any guidance! I don’t even know what kind of doctor to go to. I have an appointment with an endocrinologist, but no high hopes they will help. I’m all about natural living now as well. Our household is almost chemical free. Is it a good idea to detox with a metal cleanse or the Epsom salt and lots of water is good enough? Thanks in advance to anyone that takes time out to help me. It is greatly appreciated!! That is definitely a too low of a homocysteine. You want it around 7 or 8 during pregnancy. What happened is your body used a ton of methylation during pregnancy. With such a low homocysteine, I HIGHLY recommend you use the Optimal Prenatal Protein Powder. I prefer the vanilla. This way you get extra protein to support your homocysteine levels and methylation. The Optimal Prenatal Protein Powder is specially formulated and totally supports those with MTHFR – and those who just want the best support. You will see how comprehensive the ingredients are. I like to mix it with almond milk, frozen raspberries/blueberries, flax seeds, chia seeds and drink. Your protein intake is too low or your glutathione levels are too low – or both. I also highly recommend you take Optimal Liposomal Glutathione to get ready for pregnancy. This will reduce free radicals and conserve and help your methylation cycle. Take 1/4 tsp for a few days and then increase to 1/2 teaspoon for a few days. Then skip a few days and then go to a full teaspoon for a week. Then off for a few days. Then do again. Do this until pregnant – then stop. If you have difficulty digesting foods, you may need digestive support – ProDigestion Intensive and/or Pregestion to support your absorption of nutrients. A low homocysteine also may indicate poor absorption of protein due to weak digestion. Do not do a heavy metal cleanse unless you want to wait to try for baby #2 for 6 months post cleansing. The liposomal glutathione will assist you and more gently detox. Thank you so much for your response! I am just now seeing it today. I greatly appreciate it! I’m super excited to order my products and hopefully feel better soon. 1) If I purchase the prenatal protein shake, will I not need a prenatal at all then? 2) Would a Super B vitamin with B12 (as methylcobalamin) and Folate 400mcg still be ok to continue taking? It’s a Young Living product. 3) Our 1 year old seems to be completely healthy and I have high hopes he got the nutrients he needed when I was pregnant, but that article you suggested now has me worried. If my homocysteine level was that low during pregnancy is that a sign it may have not been enough for the baby? 4) Had I known what I know now, I’m not sure I would have had his vaccinations done prior to having him tested for MTHFR (which I plan to at 18 months in May). Is there anything you suggest he be taking? I do give him a KIDZ Superfood whole food supplement 3-5 times a week. Thanks again so much for all of your advice and guidance! I’m homozygous 677T and have had one miscarriage followed by a successful pregnancy but developed a severe complication intrahepatic cholestasis which forced a preterm induction. Happy to report he is doing just fine now at 15 months. But my homocysteine levels are “normal” too. Now I’m scared to try for a second thinking I just got really lucky with my son? Is there any research out there linking this mutation with ICP? Any advice Dr. Lynch? Thank you. Hi Brianna – ICP can have lots of causes and the combination of pregnancy and MTHFR definitely increases susceptibility — along with other genes like PEMT and MTHFD1 which are both very common. If you’ve run your 23andMe, you should consider running your raw data through http://www.strategene.org to see if you have those other SNPs as well. Many women are choline deficient so increasing choline is important during pregnancy. I miscarried at 20 weeks, I have one copy heterozygous c677t. I am also undergoing tons and tons of testing right now as I am having really weird symptoms. Bad muscle aches, body wide muscle fasciculations, cramping in feet along with other symptoms. My homocysteine level is 7.7 but my alkaline phosphatase is way low as well as my T3 reverse. But I am not deficient in any vitamins so I guess I am a mystery? I keep having blood work done but there doesn’t seem to be any answers for me. Now the scary “ALS” word is being thrown around and I am just at a complete loss. I’m 28 years old I have had 1 successful pregnancy and he is now 8. Wondering if anyone has or is going through what i’m going through. I am heterozygous C677T and I miscarried at least 5 times (chemical pregnancies). I eventually had my oldest daughter via IVF with anti-coagulation therapy (lovenox). However I was given extra doses of folic acid throughout my pregnancy. My daughter, now 9, has nonverbal autism. My second pregnancy was via IVF egg donation. I was given anticoagulation therapy again but I did not take folic acid and my youngest daughter is neurotypical.